We have all seen pictures of the breathtaking ancient site of Machu Picchu, and some of us have been lucky enough to visit and cross off the experience from our bucket list. Tucked away in the rocky countryside northwest of Cuzco, Peru, Machu Picchu is believed to have been a royal estate or sacred religious site for Inca leaders, whose civilisation was virtually wiped out by Spanish Invaders in the 16th century. For hundreds of years, until the American archaeologist, Hiram Bingham stumbled upon it in 1911, the abandoned citadel’s existence was a secret known only to those living in the area. Machu Picchu stretches over an impressive 5-mile distance, featuring more than 3,000 stone steps that link its many different levels. Today, hundreds of thousands of people visit the site every year, braving crowds and potential landslides to see the breath-taking site of the sun setting over the towering stone monuments and marvel at the mysterious splendour of one of the world’s most famous manmade wonders. But what do we actually know about it? Many think it is a very ancient site, but we are told that it was actually constructed between 1450-1460 AD, and it is thought to have only been in use for around 80 years. So, in comparison to other ancient sites, such as the pyramids of Egypt and Stonehenge, Machu Picchu is a relatively recent construction… or is it? Anybody who has visited the site or viewed the pictures of the incredible stonework can see that the Incas of the 15th century didn’t build the site from scratch. 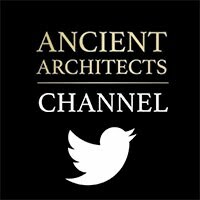 There is indisputable evidence that it was built on top of a far more ancient site, a fact that mainstream historians tend to ignore. If you look at the pictures in the above video you can clearly see two distinct phases of building. The oldest phase is incredibly precise, intricately cut stonework that is put together with such accuracy that you can’t even fit a playing card through the joints. Just look at the highly unusual shapes of the individual blocks. To fit them so precisely is incredibly difficult to achieve and the builders clearly had a more superior technology to what we know was available to the Incans in the 15th century. Just how did they cut the stones in such a way? Did they really use water and sand or crude hand saws to create these incredible joints, like we are told? Another very ancient feature of Machu Picchu is the famous Funerary Stone, carved from one chunk of solid stone and clearly part of something much larger. It shows the same precision as the early stonework, as does the famous sundial, which I’m sure had something to do with Machu Picchu’s location. I believe this is something to do with sky observations. The mortar stones also look to be the remnants of a far older structure and although mainstream historians tell us that all of these artefacts had some kind of religious meaning to the 15th and 16th century people, they clearly had a more practical function and belong to the first ancient phase of Machu Picchu – a truly lost civilisation, ignored by mainstream historians and one we know nothing about due to somewhat lazy interpretations of the archaeology. The cruder stonework that is built on top of that which is precision-cut is clearly a lot younger and shows a regression in technological knowhow. The stones also contain mortar between them, something that the older stonework doesn’t need due to it’s tight fitting, irregular jointed nature. 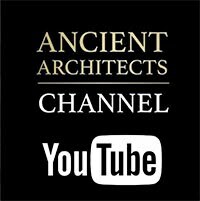 Some so-called experts explain the strange paradox in stonework by saying that the precision-cut stones must be the most recent because that’s the natural evolution of human history – progression. But this is impossible as the advanced stonework is always found at the bottom, and if it is at the bottom it is clearly older. Others explain the stonework by saying that the 15th century builders simply gave up on the quality building techniques because it was taking too long and the task was too laborious, so they finished the site with far cruder methods. This of course is highly unlikely and there is no evidence to suggest such an idea. In my opinion, the 15th century retreating Incas moved high into the hills and settled in the truly ancient, ruinous city of Machu Picchu and rebuilt it to house their civilisation. There is no evidence to suggest the Incas were able to craft and build the precision stonework we see, so immaculately jointed that some estimate it can withstand a 9.0 magnitude earthquake. Even though the city of Machu Picchu is often referred to as a “citadel”, it isn’t a fortress and there is no evidence to suggest is was ever built for military reasons, by both the ancient and the 15th century civilisations that lived there. Yes it is a very well defendable location but it is also a great observational place. For those escaping the Spanish, it was an obvious place to retreat to and build upon, but for the original builders, it was a perfect location for observing the heavens. At 8,000 feet above sea level in the Peruvian Andes, you can’t get much closer to the stars. In fact, back in 2013, a research team led by Professor Mariusz of the University of Warsaw identified part of the structure as an astronomical observatory. The specific monument is called El Mirador and it is no surprise that is was built using the superior, far more ancient-cut stonework. 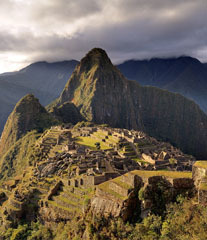 It is one of two astronomical observatories identified at Machu Picchu. Experts do however believe that the nearby city of Cuzco was constructed in such a way that is replicated the sky and certain monuments point to specific astronomical bodies, such as the Pleiades constellation, which the Incas called “Seven Kids”. Interestingly, Cuzco also shows the same juxtaposition between precise ancient stonework and the cruder Incan stonework. Peruvian architecture is showing us is that there was once a far more ancient, pre-Incan civilisation that, like many ancient civilisations across the world, paid great attention to the sky, a tradition that was clearly passed down through the generations as we know that astronomy was also important to the Incan Empire. Many scholars believe that the Incas were a relatively primitive society and they don’t know how they acquired their astronomical knowledge as well as the amazing construction and architectural skills, that are on show for us all to examine today. To me, it is clear that there was an earlier, more advanced lost civilisation. For all we know, it could be as old as the pyramids of Egypt or even older but until archaeologists accept that there are two phases of construction, we may never know the true history of Machu Picchu.